DTEK Renewables has raised EUR 90 million for construction of the first phase of Prymorska wind farm with a capacity of 100 MW in Zaporizhia region, the press service of DTEK Energy Holding reported. 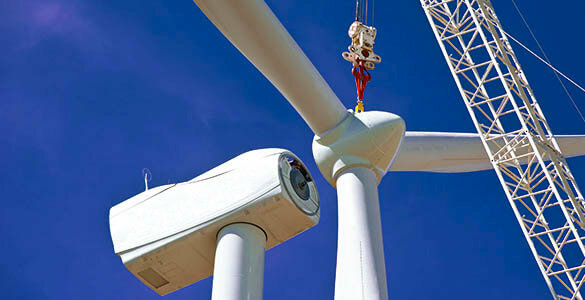 The press service said that the loan for the construction of the first stage of the wind farm was issued by a consortium of German banks (Bayerische Landesbank, KfW IPEX-Bank, Bremer Kreditbank and others) with risk coverage provided by German export credit agency (ECA) Euler Hermes. The loan term is 10 years after the technical commissioning of the plant. DTEK reminded that this is the third financing agreement signed with European financial institutions for the construction of the company’s wind energy projects. For the implementation of the first wind farm project in the company’s portfolio, the Botiyevska Wind Farm, DTEK raised loans in the total amount of EUR 235 million from Germany’s LandesBank Berlin (Berliner Sparkasse) in 2012-2014. DTEK CEO Maksym Tymchenko said that in recent years, the company raised EUR 335 million from German banks for the construction of new wind farms. This April, DTEK and Chinese company CMEC signed an agreement valued at EUR 134 million to build Nikopol solar power plant (200 MW) with the total cost of the project of EUR 235 million. “Such sustainable interest from international investors in renewable generation in Ukraine gives us confidence in the implementation of our strategic plans – to have 1,000 MW of ‘green’ facilities in the portfolio by 2020,” he said.